Pallasart builds a website for Translations and Dialogues: The Reception of Russian Art Abroad a SHERA Conference in Venice, Italy; to be held on October 25 -27. The Society of Historians of East European, Eurasian, and Russian Art and Architecture (SHERA), the Cambridge Courtauld Russian Art Centre (CCRAC) and Centro Studi sulle Arti della Russia (CSAR), University Ca' Foscari Venice are sponsoring a conference called Translations and Dialogues: The Reception of Russian Art Abroad in Venice from October 25-27, 2017. The reception of Russian art in Europe and the United States is the subject of a three-day international conference, co-organized by the Centro Studi sulle Arti della Russia (CSAR) at the University Ca' Foscari in Venice, the Society of Historians of East European, Eurasian, and Russian Art and Architecture, Inc. (SHERA) and the Cambridge Courtauld Russian Art Centre (CCRAC). At the invitation of SHERA Pallasart created the website for the conference. The site was built with tools for the conference organizers to set up schedules of lectures/presentations and attach biographies of the presenters. The conference will be recorded and videos of the presentations will be uploaded to the site after the conference has concluded. The website also has a registration system. 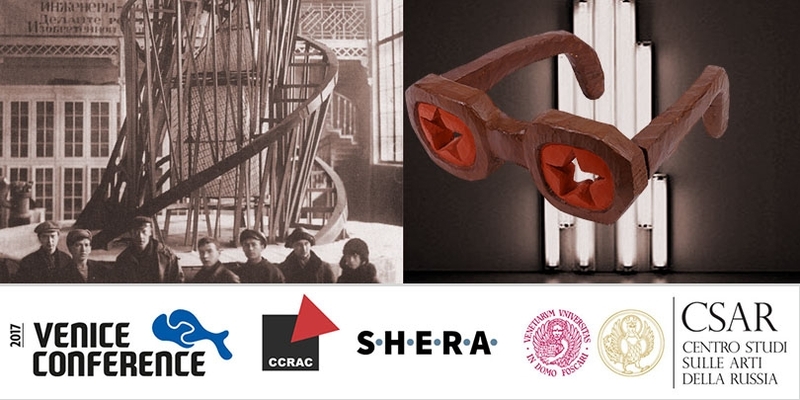 Founded in 1995, SHERA - the Society of Historians of Eastern European, Eurasian and Russian Art and Architecture brings together scholars specializing in the art and architecture of Eastern Europe and the former Soviet Union, from ancient times to the present day. SHERA creates a sense of community for scholars around the world, serving as a vibrant source of information and exchange.